The quintessence and fundamental nature of our devotion to G-d, which is the reason why we where created in the first place, is related to us in the commandment of the red heifer. We are commanded to burn the cow down to ashes, and mix the ashes in a vessel containing pure water, which is sprinkled on an impure person. The combination of “burning” the cow to ashes and “water” is what brings purification to someone who is seriously not pure. Fire and water, express two opposite elements and very different natures. Yet it is these two factors that are necessary to restore purity, to someone who became impure, and therefore detached from G-d, the source of all blessing. Fire is the only thing in this world that goes up. Everything yearns to go back to its own source. Fire is in a constant yearning to connect back with its source, which is up. While water, whose source is the ground, will always flow from however high it is, from up to down. Any possibility and avenue that water can find to go all the way down, it will find, and make its way there. These two features, of fire and water, are at the root and foundation, they are the backbone, to our manner of worship and conduct in this world. On the one hand, we are expected to feed our fire and spiritual side within, to the point that we experience a desire that nothing in this world is enough. 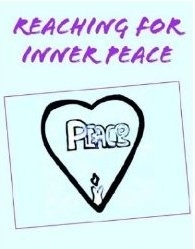 We must reach a point where we want to detach ourselves from this world, because, we feel it is an obstacle and we want to connect with our root and source above. And at the same time, we are expected to live in this world and bring down, into this world, the light and water that are above, down to the farthest extremes of this physical world. So that, it too can be touched and affected, influenced and imbued, with the holiness of above. The soul inside each one of us, the candle of G-d, and the body, which is mostly water, are exactly these two opposite expressions. The soul being a candle of G-d, desires all the time to go up and higher. By its very nature it seeks to attach to the more sublime and spiritual, while the body whose source is from the earth, is always pulling the person to materialistic and hedonistic pursuits. 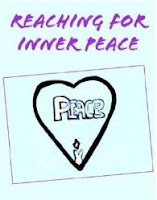 A person must find peace between these two opposing forces that cause great inner conflict. On the one hand we run after things that give us immediate gratification, on the other hand we realize how self destructive and unfulfilling that can be, and we search for deeper and more meaningful pursuits. On the one hand a person must never give up his aspiration and target for more spirituality, in all his accomplishments in life. Everything he comes in contact with, “in all your ways you must know G-d” there has to be a connection with G-dliness. In addition, he must draw holiness down, so that “all your deeds should be for the sake of heaven.” Within his day to day pursuits, and tasks, he imbues each and every act of the day in line with G-ds instructions in the Torah – Bible. The successful blend of these two opposing forces inside each one of us, is apparent in the two central practices of prayer and the study of the Torah – the Bible. Prayer is the special opportunity when we meditate on the greatness of G-d and feed our fire within, to yearn and cleave to G-d above. The study of G-ds wisdom in the Torah – Bible, is compared to the aspect of water. When a person studies the Torah, he is connecting with what is above, and draws down, G-ds wisdom, into every and all aspects of this lowly world. The red heifer is a reminder and a strength. Only by combining the fire and water, which is possible only in G-ds world, we reach inner peace and purity. 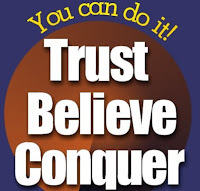 Believe and you will conquer. Check out the new (Click this) -- Sip of Kosher Caffeine. The Bible is not a history book. That is why, many things in the Bible are presented not necessarily in the proper chronological order. In Hebrew, the word for Bible – Torah, comes from the etymological root which means – teachings and lessons. The stories and instructions in the Bible, even the order in which things are presented, are a teaching and a guide, for all times and for all places, directly from an eternal G-d.
Now, although the stories, as they are written, happened in the literal sense, exactly as it is written in the book, there is always a lesson from every story, for each individual person. That is why for example, the Ten Commandments are written in the singular tense. That is why, when G-d created the world, He made one person. The entire world is here, for the accomplishments of each person. The law is dependent on each individual person, to be observed. In this context, what are the lessons we can derive from the story of the spies. Although two of the spies, Joshua and Caleb tried to persuade the Jewish people that if G-d desires us to enter, we will certainly overcome whatever stands in our way. The Israelites where not convinced and harbored doubt. They where afraid and complained to G-d, “if only we died here in the wilderness,” we would be better off. G-d responds by giving the spies exactly what they wanted. They died, together with that entire generation in the wilderness. Israel in each one of our lives represents the space granted specifically to each one of us, customized and personalized to our own unique purpose in this world. It’s the place where you find yourself today, right now. You are wherever you find yourself, because that is exactly where G-d has given you the power and strength to conquer and turn into your own little special, spiritual Israel. The spies felt that although there where so many miracles G-d already demonstrated in the past, they thought, that for this next phase, things where perhaps changing. They thought of themselves like small grasshoppers. One can not rely on the stories of the past for inspiration on the future. Perhaps, the Divine influence and the miracles, the so many unexpected positive turns of events in the past, would no longer happen. Sometimes when we reflect on the present and upcoming challenges we are about to face, we say to ourselves, “it’s overwhelming.” Instead of just forging forward and using our head in complete trust and faith in the mission G-d has placed each one of us to fulfill, we use our head to consider, whether to go on or not. We conclude, we don't have the strength etc. “In the direction a person wants to go, he is lead.” If you are afraid to take on the challenge, you will die in the wilderness. If you think you are small, you will certainly fail. 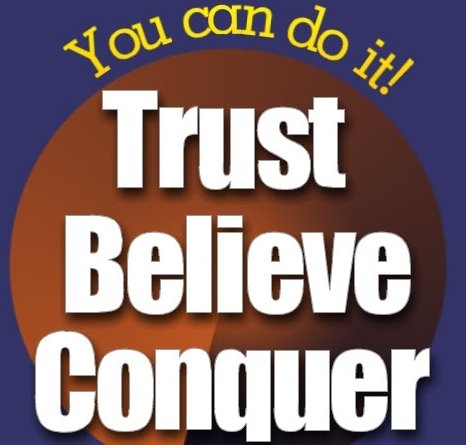 If you however, discover the small voice that tells you, “Believe – have faith. The land is very very good,” against all odds, the two spies, of that entire generation, made it, into their land of Israel. They attained and conquered what they believed in. Love the Ugly one too. check out the new sip of Kosher Caffeine video. Once, Rabbi Elazar son of R. Shimon, rode along the riverside on his donkey, and was feeling happy and elated because he had studied much Torah. There, chanced to meet him, an exceedingly ugly man, who greeted him, "Peace be upon you, my master!" R. Elazar did not return his salutation, but instead said to him, "How ugly this person is! 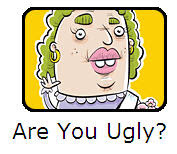 Are all the people of your city as ugly as you?" "I do not know," said the man. "But go to the craftsman who made me, and say to him: How ugly is the vessel which you have made!" Realizing that he had done wrong, R. Elazar dismounted from his donkey, prostrated himself before the man, and said to him, "You are right. Forgive me!" This was no ordinary exchange. This story must be understood on a much deeper level. When Rabbi Elazar saw, how despicable and disgraceful this person’s character was, he was inclined to ignore and reject this disgraceful human being. However, the person reminded the great Rabbi. It is G-d who made me. It is G-d who presents me with the constant challenges I am faced with. Certainly, I have the pure spark within, and I still have a future in front of me. Please, don’t ignore my salutation. The High Priest Aaron, the older brother of Moses, was, “A lover of the creatures, and brought them closer to the law.” These words, are very precise. There are some people, who have no other reason for anyone to give them any attention or closeness, if not for the fact that they are “ creatures”, created, by G-d. When one where to look at these “people” on the surface, they appear so dirty, so disgusting, you want to turn your face away from them. The love, Aaron the great priest excelled in, was even greater than that of Abraham the first believer in G-d. Abraham in the desert, was called by G-d a loving person. He, nevertheless had conditions to whom he would extend his kindness to. Aaron on the other hand, exercised an infinite love. Aaron extended his affection and attention to love everyone, even those who are nothing else but “creatures” of G-d.
As a result, the books of mysticism tell us something wonderful. 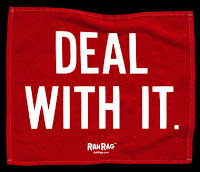 G-d deals with us in the way we deal with others. G-d is our Shadow. And just like a shadow follows a person, in the same way, G-d set things up in such a way, that “in the measure that a person deals with others so it is done with this person.” If a person looks at life in a positive, optimistic, happy mood, G-d will deal with this person in the exact same way. Because Aaron the High Priest would be kind even to the lowest of the low, he earned, that G-ds blessings where extended and drawn even to the lowest, seemingly undeserved, areas of his life. The reason we are told these examples is, so that we should learn from these great masters, how we should, and how we could, conduct ourselves, and the benefits we can expect. The antidote to dealing with all that’s “no good” in your life. Check out our NEW Sip of Kosher Caffeine Videos. When dealing with bad habits, bad thoughts, anything negative in our lives, disease, viruses and bacteria’s, what is the preferred, ideal strategy, one should use to address the problem? Some people will say, it is imperative for one to take the time, make the effort to discover and analyze the problem down to the root of it. This must be done diligently and thoroughly. Then, we must devise the best most effective strategies and tactics to eliminate and cut out the cancer. And then, we must go to war. Others might tell you. Stay focused on the positive. Keep in mind where you want to reach, and what you want to become. Introduce right away better habits. Overwhelm the negative, and not only will you have no more of the bad automatically, you will have the added benefit of having introduced in the process, and put into place, positive, constructive, good things. You will already be there, or if anything you will be way closer than with the first approach. In the Bible, everything, is presented to serve as a guide for our lives. The laws and stories are presented in an intentional order, by G-d, to teach us a lesson. When it talks about the disloyal and unfaithful wife, immediately afterwards we are told the rules of the Nazarite, who vows to abstain from drinking anything related to wine and grapes. Our sages tell us, the lesson and reason behind this order, is to teach us, that when a person hears and/or witnesses the bad behavior of a woman, he should be triggered to improve and take necessary precautions and resolve to abstain from what many times is the cause of such foolish and unwise behavior. The frivolity that comes, as a result of imbibing on alcoholic beverages. However, when it comes to the order of the different volumes of the legal code, as they have been set up in the Talmud, first the rules of the Nazarite is presented and only afterwards the volume that deals with the unfaithful wife is presented! This seems to be in the reverse of the above! The ordinary path a person is advised to take in life, is to first clean and rid himself of any bad behaviors and bad influences. First, recognize the problem for what it is. Only afterwards when the awful and the dirty is eliminated, we can then focus and introduce positive behavior and the good elements. However as time progressed, people became weaker and the darkness becomes thicker, the problems become more difficult to deal with. People became stuck in the darkness, trying to cut it out. Not enough emphasis was being put on inculcating positive habits and behaviour. Therefore, the Rabbis decided to put the second step, first. The emphasis and focus these days must be first, to improve and increase the level of goodness and holiness, and only afterwards, if there is any more time, and the negative is still there, we should deal with it, then. On another note, but in the same vein. The Rebbe once said, “ The best antidote to winning an enemy, is to be so strong, the enemy is afraid to start up with you.” Putting most of the emphasis, and starting right from the start on strengthening the good, is the most successful way in dealing with all that’s challenging and negative.